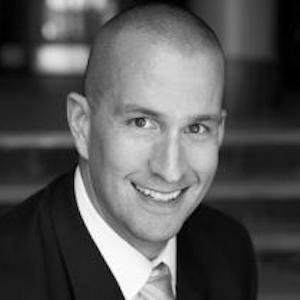 With nearly two decades’ experience helping people buy and sell real estate, Jay Kuchenbecker has earned a reputation for his extensive knowledge about the industry and the Chicagoland market. Clients not only appreciate his honesty and candor, but also the expert counsel he offers to guide them through one of the most important decisions in their life. As a result, Jay has executed more than 350 transactions totaling in excess of $150 million. Moreover, the Chicago Association of Realtors consistently ranks him among its top 3% of producers, including special recognition for number and volume of residential sales. A graduate of the University of Illinois where he lettered twice as the starting guard for the Fighting Illini football team, Jay began his career with Black & Decker/DeWalt Power Tools, where he was a national accounts manager and oversaw portfolios for Sears Hardware and Orchard Supply Hardware. His renovation and sale of a foreclosed property coupled with his entrepreneurial spirit sparked his transition to real estate in 2000, but on one condition: he would only make the move if he could join Sean Conlon’s then-brokerage, Sussex & Reilly, because he wanted to be mentored by the esteemed businessman. That decision paid off as Jay deepened his understanding of the profession while earning countless accolades and awards for his exceptional performance. He remained with the Conlon team when the industry titan launched the brokerage that bears his name in 2009. Conlon has recently merged with Compass Real Estate pairing Jay’s market expertise with the Compass’s innovative technology platform. An Accredited Buyer’s Representative who also holds a certificate in real estate development and finance, Jay’s unique background includes corporate relocation assignments, land allocation initiatives, and new development sales and marketing. In addition, he himself invests in single-family and condominium properties and, most recently, student housing developments on several college campuses across the country. Furthermore, Jay’s membership in the National, Illinois and Chicago Association of Realtors ensures his ongoing professional development and allows him to remain apprised of industry regulations. Jay attributes much of his success to the highly skilled and talented individuals with whom he has worked over the years. In his off-time he is an avid sportsman, Ironman triathlon finisher and mountain climber, including having submitted Mounts Kilimanjaro, Rainier and Whitney as well as having hiked the Inca Trail to Machu Picchu in the Andes. But while these adventures make his love of global travel clear, Jay finds that no other city outshines Chicago thanks to its stunning architecture, rich history, diverse neighborhoods and fantastic people.